"Staff was extremely friendly and helpful." 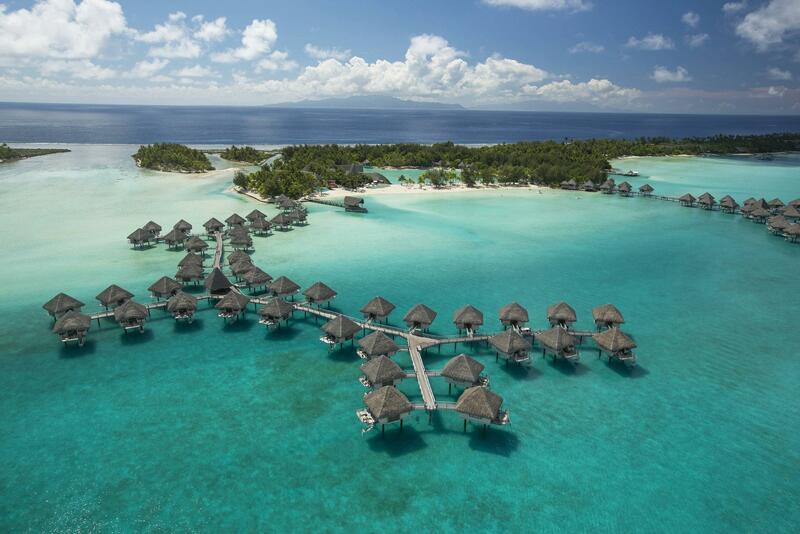 Have a question for Le Méridien Bora Bora? "The resort has a turtle sanctuary which is educational." "I played a round of beach football with local staff, whic was fun." "The stay was wonderful right from the beginning when we were..."
The Meridien takes picturesque contemporary island bungalows and sets them down on the crystal clear water in beautiful Bora Bora. The bungalows here are stunning, combining a French bamboo motif with something out of a Hemingway novel, with sprawling dark hardwood and a sailor’s brass. Now add a glass bottom and a staircase that leads into crystal clear water and you’ll have some idea of the tropical masterpiece this place really is. Swim in the exotic pool, dine on international cuisine fit for a dignitary, explore the private beach, or sip margaritas in a swinging hammock -drifting on the passive tropical breeze so far removed from cities and work. Whichever the case, there is a world-class reception and remarkable attention to detail present to keep guests on the right foot. There are few places more stunning than Motu Tape, and the Meridien hotel is no exception. "Food and beverage is good." To reach the property, a compulsory boat transfer of 9660XPF per person needs to be arranged. Kindly contact the property for more details.